Are you looking for simple yet effective ways to get rid of household bugs once and for all? If yes, this post is all that you’ll ever need. In this post, we’ll discuss not one but six easy, practical, and effective ways to removing bugs from your house or event. However, before we take a look at these natural bug-terminating methods, it is important for you to understand that household bugs are more than just a nuisance. They can cause allergies, among other things. Therefore, it is paramount that you take effective measures as soon as you see them flitting inside your house. Don’t wait for the problem to get out of hand because then the only resort left open to you might be professional help. For mild to moderate household bug infestation, these natural methods might prove sufficient. But if the infestation is severe, it is always best to seek help from experienced mosquito control experts. Peppermint oil has an invigorating smell, but it has much more than that going for it. It seems that mosquitoes, spiders, and ants are repelled by it. The same holds true for mice as well. Therefore, spraying a few drops of peppermint oil all over your house can do the trick. However, as peppermint essential oil is very strong, just like any other essential oil, it is necessary to use it with water. 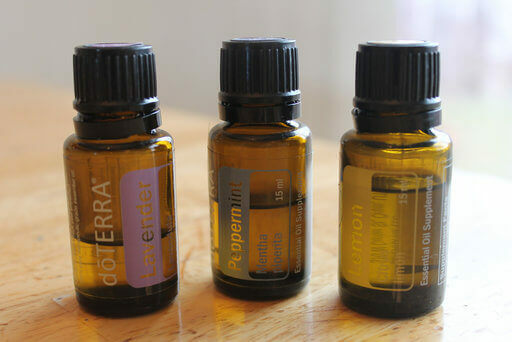 Mix a few drops of peppermint oil, 10-15 drops, in 8 ounce of water. Spray the mixture in areas where bugs are most active, like vents, windows, and around doorways. What peppermint oil can do, Neem oil can do as well. This essential oil can help you remove thrips, white flies, and aphids from your home. You can use it pretty much the same way as peppermint oil. Mix a few drops of it with water and spray the solution in infested areas. This is another potent anti-bug treatment. Best known for its soothing fragrance, lavender oil is like anathema for flies, fleas, mosquitoes, and moths. Mix 5-10 drops of this essential oil in 8 ounce of water and spray the solution all over the home to kick out the unwanted guests. Pyrethrin is derived from chrysanthemum flower and has strong anti-bug properties. It can help you get rid of flies, fleas, and moths. While diatomaceous earth is harmless to humans, it is mighty deadly to household bugs and other insects. Flies, bed bugs, earwigs, stink bugs, beetles, and spiders die in a couple of days after they come in contact with diatomaceous earth. Another effective way of preventing household bugs is to put the mozquit vaporizer around entry sites like awnings, under railings, and windows. The all natural ingredients used in this mosquito repellent are very effective against mosquitoes, so should definitely try this method if mosquitoes are entering your house at will. This entry was posted in Blog and tagged mosquito control singapore.